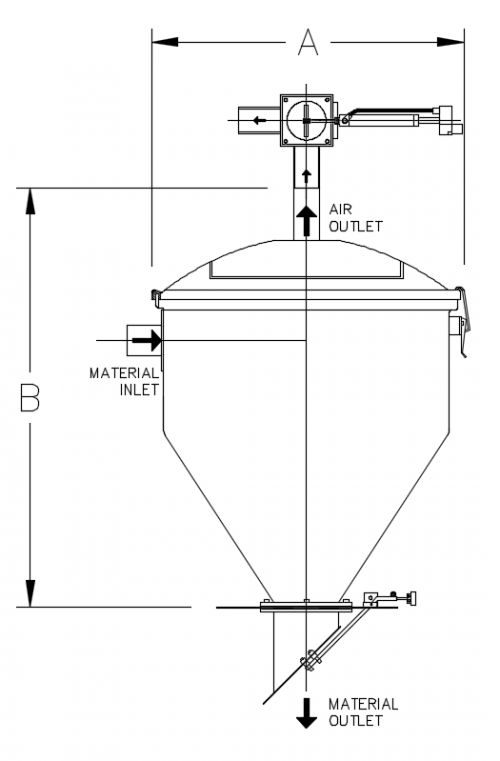 Do You Need a Vacuum Chamber System? 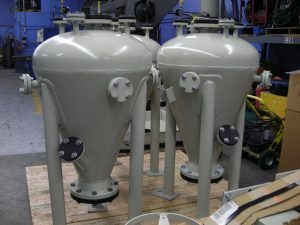 Adaptive Engineering supplies vacuum chambers in many sizes ranging from ½ of a cubic foot capacity up to over 6 cubic foot capacity. Our staff will work with you to select a vacuum chamber that will meet your system requirements. The body of the vacuum chamber is constructed from a single piece of aluminum that has been spun into the cone shape. The chamber lid is stamped from carbon steel, and painted AEF white. 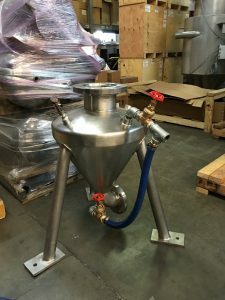 Standard assembly for a vacuum chamber includes the body, lid, counter-weighted dump valve, internal separation screen, limit or tickle switch, and a solenoid actuated vacuum control valve.